Many people think Pi Day (March 14) is also Pie Day, but I am here to set the record straight. Tomorrow, January 23, is the official day of pie. As many of you know, I love pie. It is my all time favorite dessert to make and to eat. 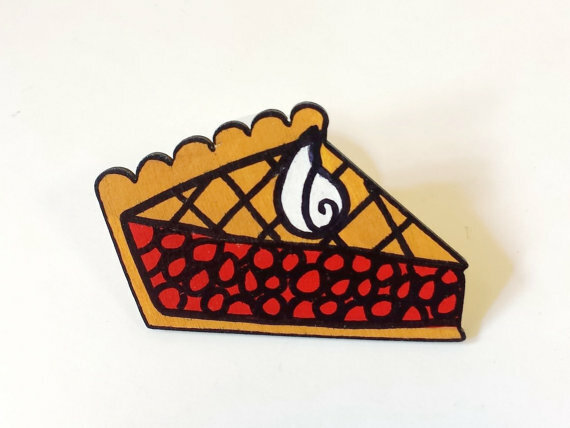 I have a list of favorite fictional characters that love pie (Agent Dale Cooper, Gordon Cole, Dean Winchester, Ned - the perfect pie man), but that is a story for another day. 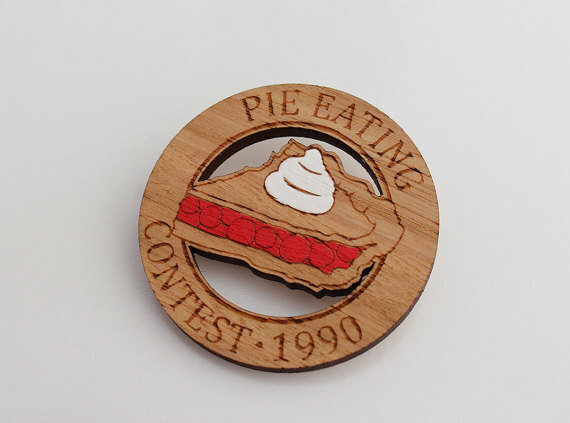 Today, in celebration of tomorrow, I have curated a collection pie-riffic brooches and pins that any pie fan would be happy to wear not only on Pie Day, but the remaining days of the year. I hope you enjoy these slices of blackberry, pumpkin, and cherry pie - oh how we love our cherry pie, maybe as much as Agent Dale Cooper. Enjoy this selection and do not forget to treat yourself to a slice of pie or two tomorrow.